Compact complete dimming, mains distribution and data solution rack. 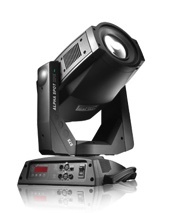 Sophisticated, high powered moving body projector fixture designed for professional applications. 575W and 750W HPL lamp versions. 19, 26, 36 and 50 degree lens tubes. 150W HID ligh source version. 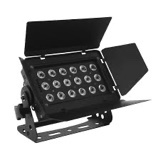 Moving head profile lighting fixture. 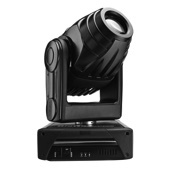 CMY colour mixing, motorized zoom, electronic focus, CTO filters, half CTO UV, linear iris, front and rotating prisms. 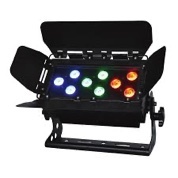 Moving head wash lighting fixture. CMY colour mixing, electronic beam shaper with motorised blades adjustable from 0-180 degrees. Adjustable 15-30 degree zoom. 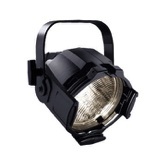 Medium power moving spot lighting fixture. Full colour system.